I wish I was a manatee! Yes, I want to be a manatee. My day would be filled with floating in the ocean lazily hoping that some food will make its way nearby. I don’t want to work or go to school. I am like a slow-moving creature of the sea, living on dry ground. Can I help myself? I plan on speeding up someday but not today. 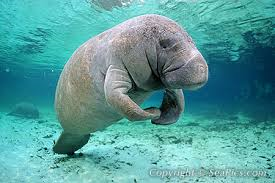 Today, I’m going to be a manatee!